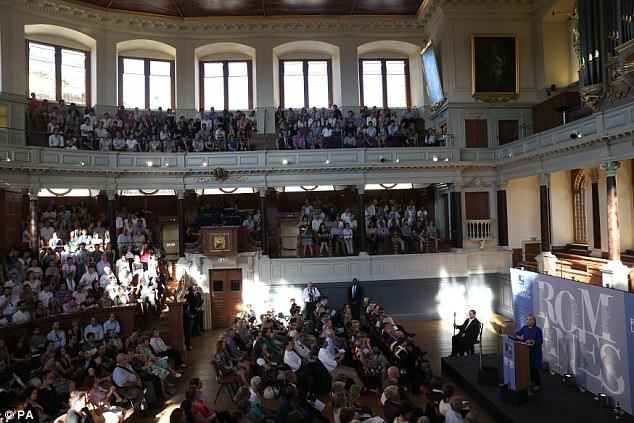 Hillary Clinton has reared her ugly head again in another speech, this time at the prestigious Oxford University, and once again she complained about the US electoral college, blaming it for her stupendous loss in the 2016 election. Afterwards, Hillary Clinton then compared president Donald Trump to Turkish president Recep Erdogan, who won re-election in the country just yesterday, which truly signifies that Hillary Clinton is totally off her rocker. But, that’s no news! Let’s look below at the 2016 US Election results in a very handy map now! Red for Republican and Blue for Democrat, which may even help you to navigate through America at your own leisure, at the same time. We can’t get enough of this map, can you? For Hillary Clinton to compare Recep Erdogan to Donald Trump is the same as comparing rocks to scissors, it simply doesn’t go together, but in the warped world of Hillary Clinton, anything is possible… Sort of like communicating on an unsecure email server, then acid washing said emails, then smashing the hard drives with hammers, to destroy the evidence before more of it was disclosed. Everyone knows that Hillary Clinton campaigned incorrectly and she simply didn’t have a matching campaign, or strategy to win, whilst people clearly preferred Donald Trump for his campaign policies. She simply tried to wow audiences with Jay-Z, Beyonce and Katy Perry, in turn undermining people’s political intelligence, perhaps? Well, should she even be allowed to say that, when her self professed friend and late mentor was Democrat Senator Robert Byrd, a former recruiter for the Klu Klux Klan. A picture speaks a thousand words, as they say. Recep Erdogan is a conservative Muslim, which is far away from Donald Trump, who’s a libertarian Republican (that’s not a politician and that’s also not in-line with the elite) and anything conservative about Trump, is in line with not accepting far left “liberal” socialist policies, that would destroy the United States from within. This has been much evidenced after the 8 year term of Barack Obama, of which Hillary Clinton served as Secretary of State. Democratic socialism of which Barack Obama and Hillary Clinton practiced, saw the destruction of the lower and middle classes with unsuccessful welfare programs and hundreds of thousands of manufacturing jobs disappearing to foreign nations, ruining the nucleus of America’s economy. Democratic socialism is after all, the starting point of full blown communism further down the line, so thank the lord that god intervened in the 2016 US election and that people voted for Donald Trump. Amen.